Winches are the single most critical utility item when it comes to taking your vehicle on off-road terrain. 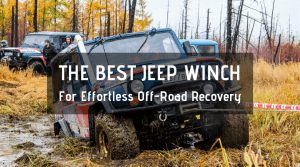 Sure, other equipment, such as lift kits, tires, lockers, and other essential truck parts counts, and although these parts are certainly of great value, the key difference between a safe and destructive off-road expedition is whether your vehicle is equipped with a winch or not. A winch is a mechanical device used to wind up (pull in), wind out (let out), or otherwise correct the tension of the wire rope or rope. In its traditional form, it features a spool connected with a hand crank. In their larger forms, winches are placed at the heart of machinery as diverse as steam shovels, tow trucks, SxS (UTV) and elevators. While being a seemingly obvious accessory, many drivers and vehicle owners overlook the importance of winches simply because they lack the flashy appeal, unlike other parts, such as tires or lift kits. What these individuals fail to release is that performance-boosting parts are practically of no use if the vehicle is stuck in a rough terrain. In addition, if you really think about it, having a load of 4x4 parts, like lockers, tires and lift kits, can sometimes prove even worse, as they wrongly inspire you to take risks while going on off-road trails as you assume these components have you covered in a sticky situation. There are numerous types of winches for different vehicles, such as UTVs, ATVs, trucks, and trailers. 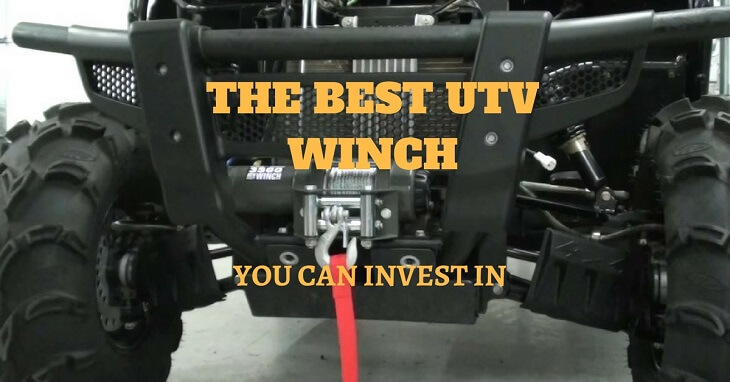 When you are out shopping for the best UTV winch, you will come across winches that aren’t meant for UTVs. You may notice winches for ATVs but keep in mind that ATVs weigh much less than UTVs, and thus you will need a rather high weight rating for your SxS. The rule of thumb is to look for wenches that lie in the range of 4000 lbs. or higher, depending on your needs. A winch with weight support of 3000 lbs. is also a rather safe option but going below than that number will mean you just will not be able to benefit from that pulling power. Of course, your needs will differ based on your requirements. If you are looking to use a snowplow during the winter, it is recommended that you invest in a winch with a lower weight rating. 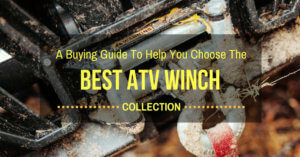 You face two primary choices when looking to buy a UTV winch: synthetic and wire. Although synthetic rope is modern and more hyped, both have their unique pros and cons. • Synthetic: Synthetic rope comprises of synthetic fibers and is typically safe for touching. It is also relatively stronger than wire rope of the same diameter. It is also more lightweight, and is able to float, making it a perfect option for riders who love bogs and mud. Synthetic rope also tends to chafe quickly when continuously rubbed against surfaces, and are prone to damage when exposed to excess heat. Lastly, a synthetic rope is a much safer option in case it breaks since it doesn’t result in whiplash. • Wire: Wire rope is made of countless small steel strands wound spirally. Because the small strands are prone to breakage, it is best you wear protective gloves when handling a wire rope. This type of rope is heavier in comparison to synthetic as it includes steel. On the flipside, it is more resistant to abrasion and damage and is tolerant to heat. The big disadvantage of wire rope is it can cause whiplash if the rope breaks. This happens because the rope gets tense during use, which when released can seriously injure you or damage your UTV. Wire rope is cheaper in as compared to synthetic rope. Besides the cable material, you must take into account its length. The majority of UTV winches come with a 50-inched cable. You may think that is better but is often not. If you think you require a rope longer than 50 inches, consider using an extension. • Look for a UTV winch that comes with a mounting plate or you will have to buy the latter separately. • Price is another important consideration and it varies from brand to brand. It is a good idea to compare prices so you can get a good deal and make sure you don’t pay more than you should. Regardless of how deep you are in the woods, with Terra by your side, you can expect to get out of any situation. Ease of use. The Superwinch features a four-bolt pattern on the plate, which makes mounting the winch practically universal. 4500 lbs. weight rating and ¼ inch synthetic rope that is 55 inches long allows plenty of room to pull yourself out of any situation. Durability. The planetary gear is fully made of steel as is two times wide as those used by other competitors. The circuit breaker is weather sealed and thoroughly protected to extend the winch’s lifespan. 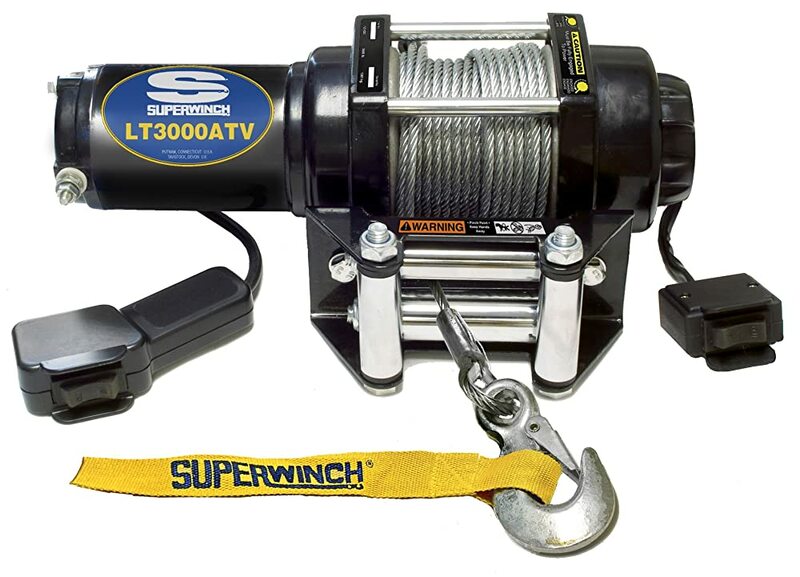 The winch kit offers 3,000 lbs. of weight rating and 45 inched galvanized heavy-duty aircraft cable, which is suitable for practically any situation. ​The motor is powerful (1.3 horsepower) and big enough to give you the much-needed boost. ​With just a 12-inch length, the winch does not crowd your SxS. Lightweight, weighing only 19 pounds. The winch length could have been longer. This is a smaller version of the winch that comes at a lower price but still carries a 4000 lbs. pull. With a 50’ long, 3/16 inch Dyneema Synthetic rope, sealed low amperage permanent magnet motor, and dynamic and mechanical brake, you cannot really go wrong with this tool. The wench is easy to mount but is not as large as compared to other stronger winches. Ideal for saving space or mounting the winch in a more compact location. 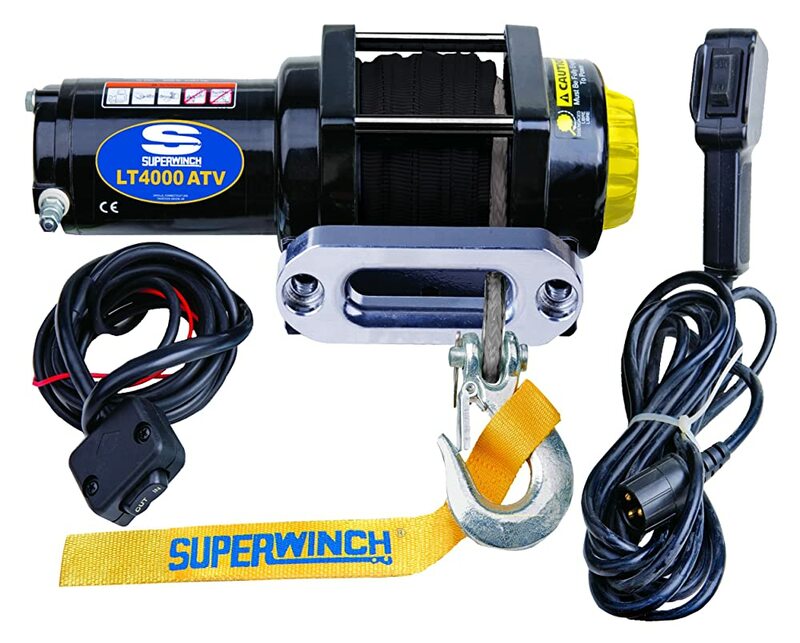 As compared to other Superwinch products, this unit is low-priced yet still gets the job done efficiently. The winch features a 3000 lbs. line pull, which is more than enough to take care of your terrain difficulties. ​Handlebar mounted rocker switch combined with a handheld remote adds a completely new level of convenience and ease of use. 1.2 horsepower, 50-inch cable wire a 12-inch cable extension allows free spooling and mounting on the majority of popular utility models thanks to the versatile mounting plate. In comparison with other brands, the product is still a little expensive. 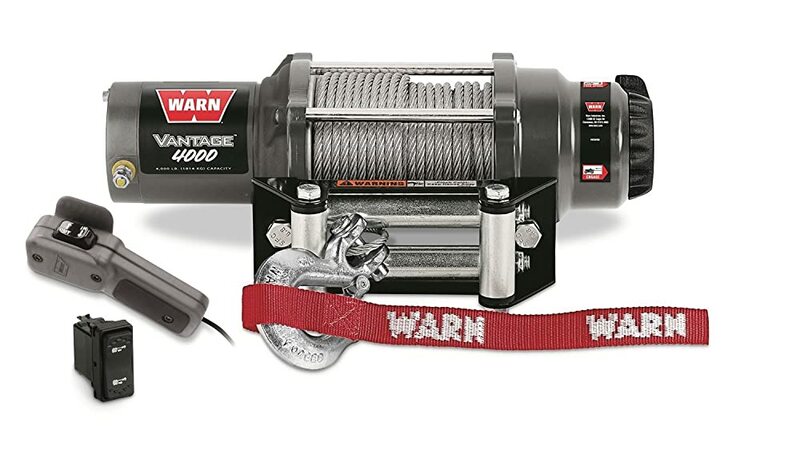 With 55 feet of 7/32 inch wire rope and a completely sealed motor drive train to keep the elements out, the Warn 89040 Vantage Winch is a strong, easy to install and a versatile unit. The kit includes a corded remote control and a handlebar-mounted mini rocker switch coupled with a3-stage planetary gear train that helps keep your operation smooth and efficient. The mechanical spring brake is designed to help control when winching. 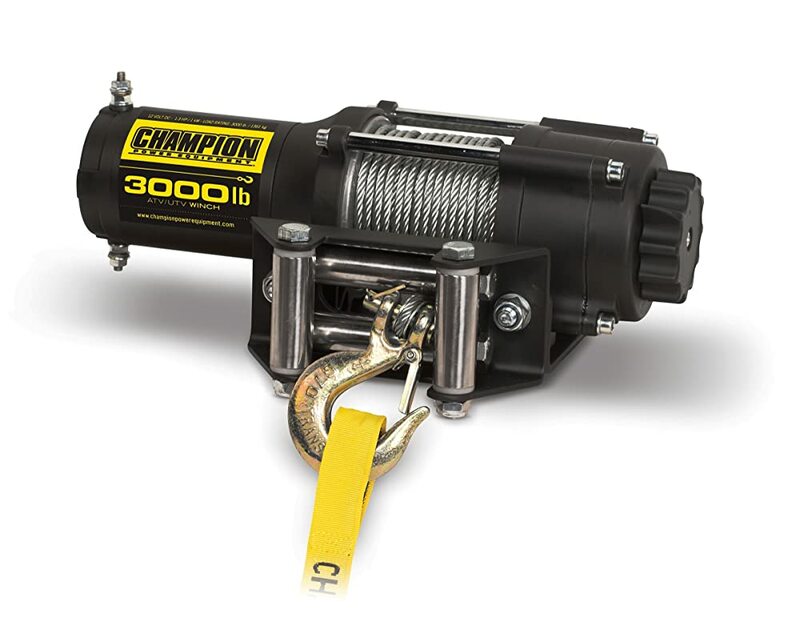 Looking at the features of the top 5 UTV winches, it is safe to say that the 3000 pounds capacity Champion Power Equipment 13004 Power Winch Kit is an obvious winner, especially if you are strapped for cash. The unit installs smoothly and fits perfectly. In addition to that, it features a heavy-duty cable with a high (3000 lb. rated pull) that is sure to last you for a long time.